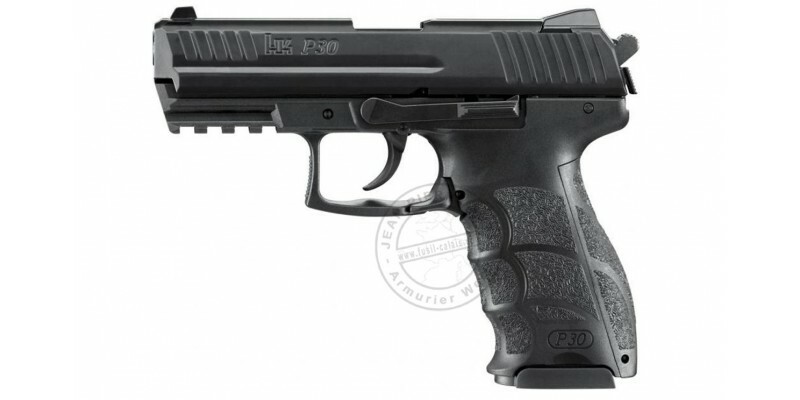 "Safety with Function" is how Heckler & Koch describes its model P30. This modern police pistol sets high standards for safety and functionality. The modular grip is designed for fast target acquisition. The 9 mm P30 replica duplicates this semi-automatic pistol in every detail. It has a 15-round magazine and working parts including a decocking and slide-stop lever.